OK so let’s talk about the first things you must do when you or someone you feed is on a GF diet…clean out the kitchen. Sounds simple enough but it is a pain especially when you lack space in your kitchen.I live in a house so small that it is actually a shoebox masquerading as a house (i am serious here) and hence I have zero pantry space. I quickly became best friends with a fairly inexpensive label maker and a great lady who works at The Container Store (www.containerstore.com). I also have found alternative ways to handle my kitchen storage like buying fairly inexpensive wire racks at a local box store or Target. If you have a lack of storage space then something like one of these racks placed in a garage, a basement or spare room is going to help considerably. I do not have a garage or a pantry and my racks are in the basement holding all those kitchen gadgets that I do not use every day but when I need them..I need them. 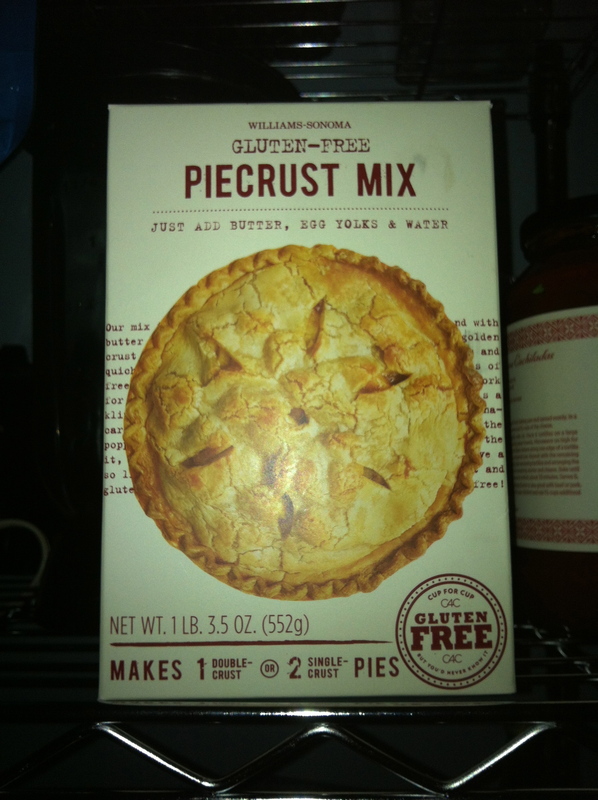 This frees up space on my counters and in my cabinets for our Gluten Free foods and products. Frozen/fresh Pizza Crusts..In my family the kids love kinnickkinnick foods brand frozen pizza crusts. These pizza crusts are excellent when cooked according to package directions, but my kids like to toast the crusts before adding their favorite toppings and then broil the cheese it makes them look and taste like they come from a pizza shop. This morning I had plans to go into the city, see an older relative and maybe catch some lunch at one of the local joints in the neighborhood. Half way up my phone rang, it was UJ on the other end dumping me for one of his cronies..( I will tell you about UJ another time…) and to be honest I was kind of disappointed because for a moment I had no clue what to do with my time. I actually do not even recall the last time I had a moment where I was in a situation trying to figure out what to do with my free time! It so happens I was near the shopping center where our local Whole Foods Market is located and I figured what the heck I will be semi organized for once and go get something for dinner. I also realized that I needed a birthday gift for one of my carpool kids and a new meat thermometer while I was there so off I went. I am going to admit I am really frustrated by the disorganization at our Whole Foods when it comes to Gluten Free products. They are literally all over the place and you have to look really hard to find what you are looking for. The process is not only time-consuming but also irritating. GF crackers and cookies are in separate aisles, the GF flour is mixed in with regular wheat based products, even the GF pizza is in a case away from the other GF frozen foods. Get a clue Whole Foods and organize the products and LABEL the GF sections even the local grocery chains do this…I go to Whole Foods to get better quality foods to feed my family and it ends up sucking up my time more than anything. Ok rant over..
Oh and about that meat thermometer…I have one but the problem is I usually have to stick it in a glass of ice water for the darn thing to work so I decided to splurge since there is also a Williams Sonoma in the same shopping center. My big issue is I can never just GO IN to WS. 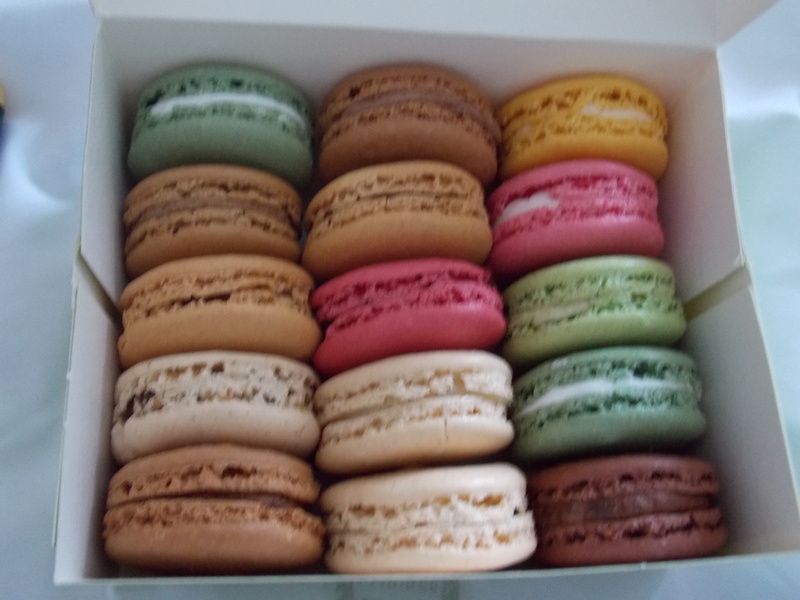 You see I have to browse and once I have what I came in for then I recall about 12 more things I “need”…so I did get the thermometer, but then I recalled that I needed a scale since I did indeed find a macaron recipe that looks promising. Oh yeah and I also needed pink grapefruit hand lotion because I tried the hand soap (side note here that stuff is awesome! No matter how bad my hands smell from onions, garlic… you name it….this soap neutralizes it) and while I was waiting for Kathy the sales associate to get me a new scale from the back I decided to go and look at the cookbooks ( I am a self-professed cookbook junkie) and the baking mixes and that was when I spotted some items the piqued my interest.. 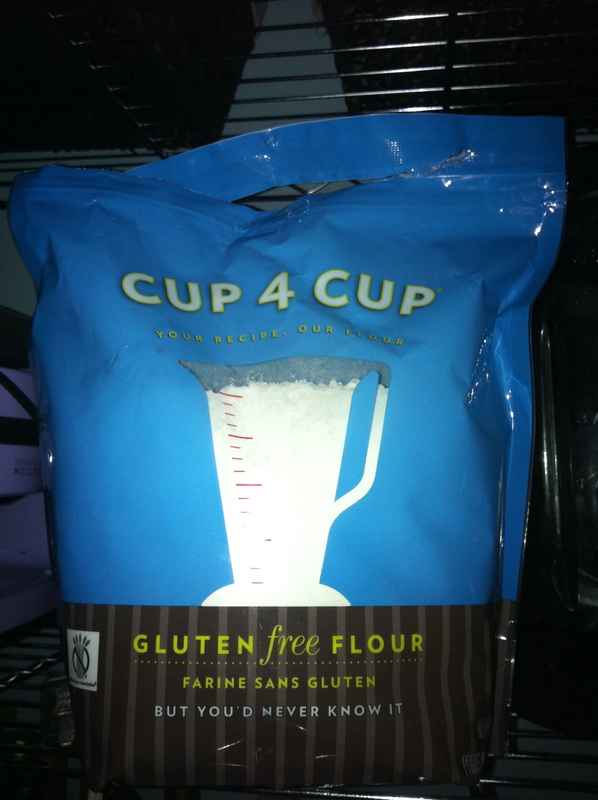 I am looking for a really good GF flour. Many times I have settled for whatever is available but it has not always been the best choice.Point in case is when I make chicken pot pie, the mixture tends to immediately come out at the correct consistency but after a few minutes it is like the mixture falls apart and just thins out and does not taste as well as it did immediately after cooking. I am going to admit I am pretty excited about this since many of the online reviews are good. I am going to admit that I did in fact try this flour out while I cooked dinner. You can not have roasted chicken without gravy and since all gravies available in the jar, the packet or the can (even the ready-made stuff at the grocery store) are all wheat flour based I have to make gravy from scratch using GF alternatives. I am going to admit I was always a bit intimidated by making gravy until I became a Food Network devotee and saw Ina Garten make gravy on the show..when she said “How easy was that?” I got the courage to tackle gravy making 101…first batch I made was a little scary but since then it has gotten much easier and tonight for the first time the gravy did not taste GF. Going home from the doctor’s appointment after my daughter was diagnosed with Celiac Disease I simply felt overwhelmed. All I could think was now what? On one hand I was feeling blessed that the “only” thing wrong with this little lady was celiac and it could be controlled with diet.On The other had I had no freaking clue what this all meant and I was frustrated and feeling guilty that I could do not more fast enough to make M all better. Finding information online was a bit challenging at the time (this was 1998) and I was forced to rely upon people at the health food store and a few pamphlets from the doctor before our appointment with the nutritionist at Boston Children’s Hospital a few weeks out from that time. The doctor also informed me at the end of our appointment that my daughter would need to temporarily follow a dairy free diet to allow her gut to heal for at least 6 months. So for 6 months my 18 lb 15 month old child was gluten and dairy free and miserable that she could not have a cookie like her siblings or chicken nuggets. The other kids were frustrated because they were forced to eat their snacks or nuggets in stealth mode, and I was frustrated because this whole gluten free thing was so much harder than I imagined. The simple question was …what do I feed this child? I tried all the baking mixes available in the store and most were terrible. The muffins tasted like sand, the bread was terribly complicated to make (I was a newbie) and my daughter did not want to eat any of it. There were some gems…Foods by George had pre made frozen pizza and brownies that tasted pretty good, Gorilla Munch cereal was a great replacement and the good news was the other children in the family were willing to eat it as well. We had a start, and then I realized that there was plenty of foods we eat that are naturally gluten free including popcorn and hence M’s love affair with popcorn began. We were starting to navigate the waters of eating GF and while it was still tough it was definitely getting easier. Getting involved with the Celiac Support Group at Children’s Hospital in Boston definitely was a step int he right direction for us as a family. We learned about mail order specialty food companies that sold better foods than the ones available at retail and there were people who tried the products and gave advice. 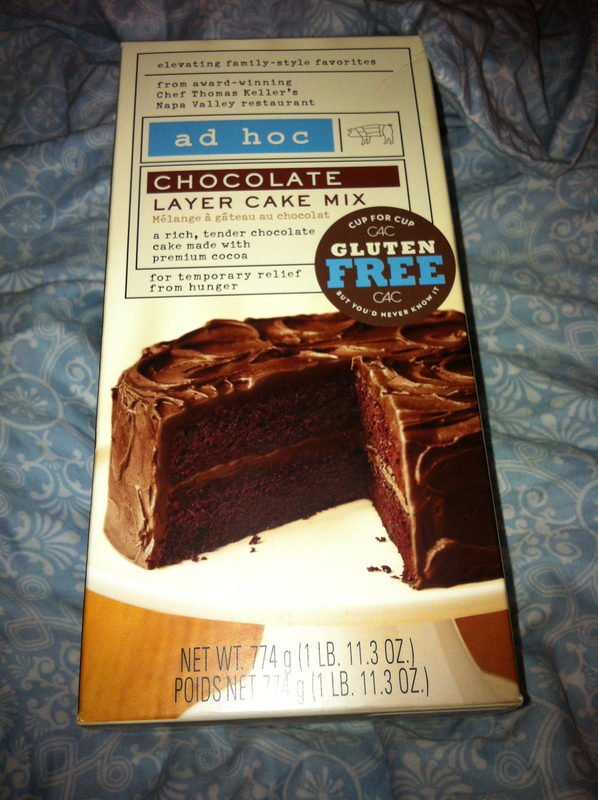 Today theer are more options since gluten free eating seems to be a much more mainstream issue. The number of available foods has exploded and there is loads of information available on the internet. However nothing really replaces that moment when someone says I have been there and let me help you out. Today I have to admit all of my hard work paid off. I have learned to adapt recipes using GF ingredients and really wish my darling daughter would be a bit more adventurous but I get it…there comes a point when you realize you are a master at reading food labels, you think constantly about how you can make that recipe gluten free. 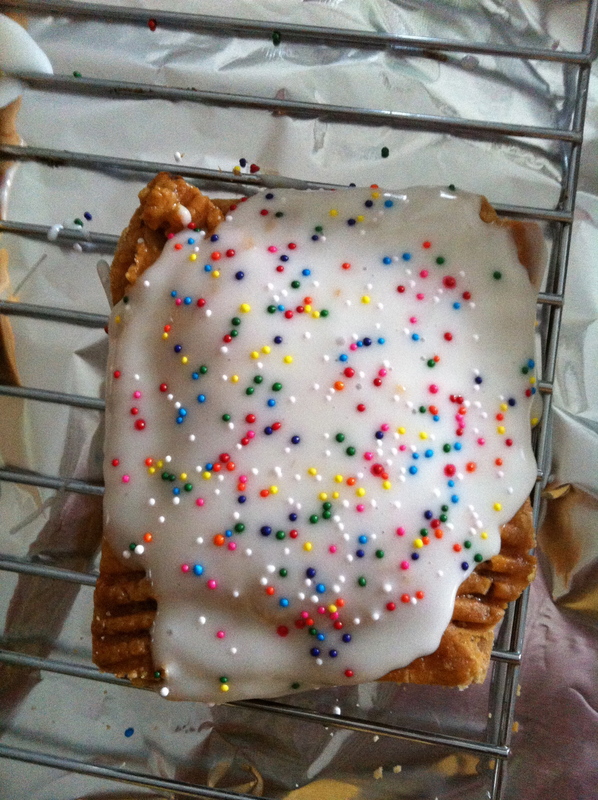 I have a great idea of foods that kids will eat and not eat, what brand of GF pretzels are the best, how to make breadcrumb toppings from potato chips, GF pretzels and stale GF bread. I can make a darn good pizza and even use those pizza crusts to make cinnamon sticks (like the ones advertised by big food chains) or garlic bread sticks…I can make crust out of crushed cookies and make a great pie. Next after you have some idea you need to clean out your refrigerator. The biggest setback to a GF diet is cross contamination. Cross contamination happens when people use the same toaster or share condiments with non GF eaters. A rule to remember is 1 crumb of gluten causes six weeks of damage. If I were to cook in 2 separate pots a serving of gluten-free and non gluten-free pastas and strained them , if I drop 1 single piece of regular pasta into the gluten-free batch,that whole batch is contaminated and is unable to be eaten by the person(s) on the GF diet. SO…a sharpie and labels will become your friends at the start of your journey. Get a fresh jar of mayonnaise, mustard, jelly,peanut butter etc..whatever you use and label them as GF and if you need to only use clean utensils. My family has a dedicated toaster for GF breads and items that we use. i would advise using a toaster oven as this will allow you to toast your bread on a piece of tin foil if need be. Cleanliness and constant attention to what you are eating are very important,avoiding cross contamination is the key here. Make sure that you clean your dishes and pots and pans in a dishwasher if at all possible. The dishwasher sanitizes your eating and cooking dishes, pots and utensils so there are no traces of gluten. Now it is time to go shoping..what do you eat? Here is a simplified version of what you need to cut out, WHEAT, oats (there is debate about oats as by themselves they do not contain gluten, but most oats in the USA are processed with wheat and hence they are contaminated with gluten) barley,rye. what this translates to you in the beginning is no bread,pasta or pizza…well none of those products that are available at pizza shops or in most aisles at the grocery store. the good news is this…going GF is not a death sentence and it does not mean that you can not eat flavorful foods. You can eat pizza (GF of course) and bread, pretzels and even pasta. 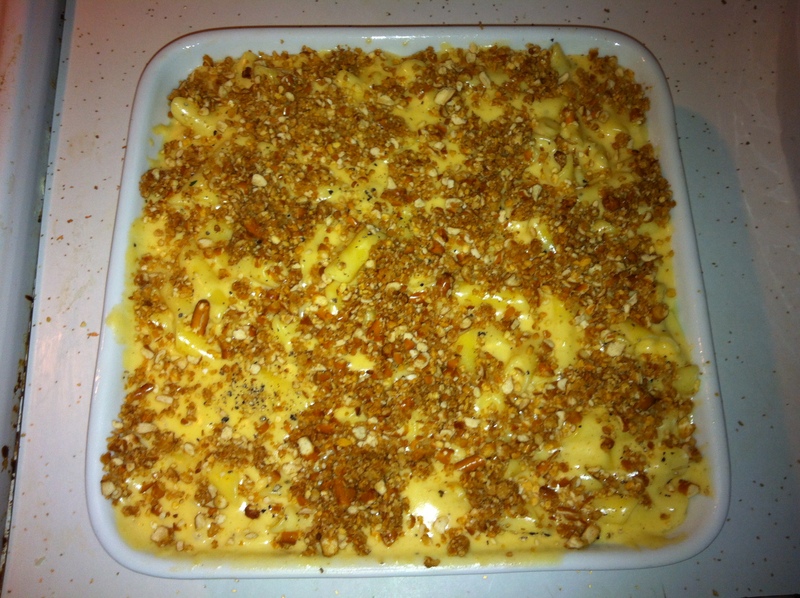 There are meals that you probably already make now that are GF. Things like baked chicken (no bread crumbs or stuffing) or grilled steak or pork chops with sweet potatoes or regular potatoes, rice or salad. The key to eating GF is all about flavor.